Smart phones and social games are making things difficult for traditional videogame makers. Epic Games president Mike Capps thinks that the future of the traditional videogame industry is more uncertain than it's ever been, thanks to changes wrought by social, casual, and mobile gaming. He said that a lot of the truths that the industry had relied on for years might no longer apply, and it was hard to see what was in store. Capps said that there was now a question mark over things like the role of retail and physical distribution in five to ten years time, and whether anyone would care about a new console generation. "It used to be, 'well, of course PlayStation 3 will be successful because PS2 was amazingly successful,'" Capps said, "But can you say for sure that you know everyone's going to jump to the next generation? I sure hope so - I'm going to try to make some great tech that will make everyone want to. But it's scary." 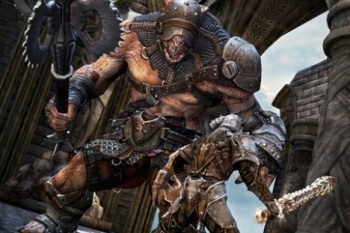 Despite Epic's forays into iOS development with Infinity Blade, Capps also worried about the effects that devices like the iPad and iPhone were having on traditional games. In Capps' opinion, "dollar apps" were potentially very harmful to the industry, saying that 99-cent games on smart phones made it much more difficult to convince consumers that a $60 game was value for money. Capps didn't think that everything was completely bleak, however. He said that while it was an uncertain time in the industry, it was also an exciting one, especially for the company that made the right choices and ended up "winning."